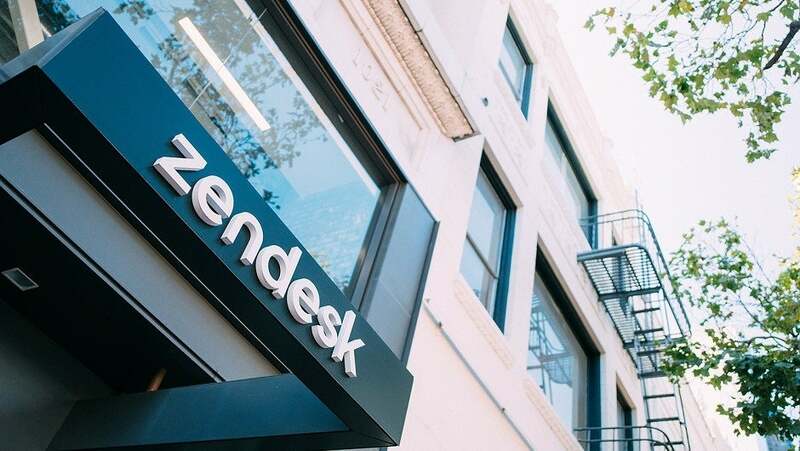 Zendesk has just launched a Salesforce competitor, Zendesk Sunshine, a CRM platform that will come built into Zendesk’s suite of customer service tools. 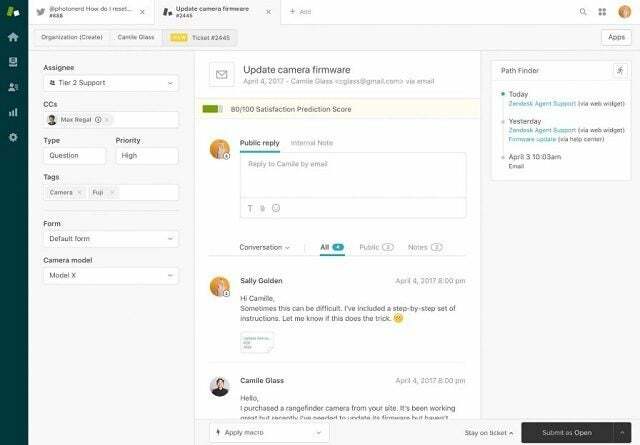 The new Zendesk Sunshine system promises to be an “open and flexible CRM platform.” Openness is the main selling point: The Sunshine platform lets users layer additional applications over the Zendesk toolkit. It’s built on the public AWS cloud, and all signs indicate it’ll keep the center of attention on what’s most important to a business, the customer. The platform won’t be sold individually, but will be included with Zendesk’s Enterprise tier plans. Salesforce has always had plenty of contenders to the CRM throne, but the Zendesk Sunshine platform is a promising new one. CRM, or customer relationship management, has long been an essential business software category: Businesses can use it to track and address customer’s needs, close sales, shore up retention, or all of the above. Zendesk offers a raft of support apps, each of which tackles a separate customer service issue: The core four — Support, Guide, Chat, Talk — are bundled together as a full customer service solution. Zendesk has added more CRM-specific apps over time. Now, with the addition of Zendesk Sunshine, it has created a platform that incorporates its apps and invites developers to integrate their own. Zendesk Sunshine is also bringing a few new CRM-centric features to Zendesk’s existing customer service apps. For example, Zendesk Support will now benefit from the Customer Interaction History feature, which offers a customer-specific historical timeline to help agents understand their past relationship with a given customer in addition to their current needs. For Zendesk, Sunshine is the final stage in a pivot to offering a cohesive CRM solution, rather than just a customer service one. For Zendesk’s potential clients, the big selling point is the openness and flexibility of the platform. What Else Is Zendesk Adding? Zendesk paired its Sunshine reveal with the announcement of two more products, and it’s bringing a few new features to its legacy apps as well; Zendesk Sell and Zendesk Explore. 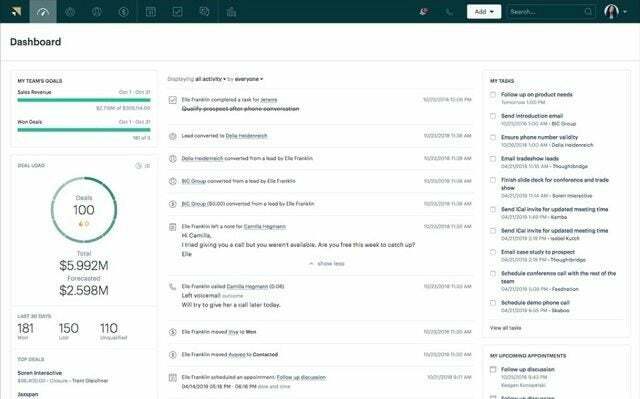 Zendesk Sell will tackle sales force automation, shuttling leads into columns with descriptors like ‘Prospecting,’ ‘Qualified,’ ‘Quote,’ or ‘Closed,’ for increased visibility. Other Zendesk or third-party tools can be integrated, giving agents more data on a customer or easily turning a support ticket into a sales lead if the customer is interested in a different product. Sell is available for $19/month, and is a revamped version of a sales product called Base, which Zendesk acquired in September. Zendesk Explore is a data analytics tool that works a little differently from most of Zendesk’s apps. It is not it’s own discrete unit. Instead, it works across all of Zendesk’s apps to inject a shot of data analysis into each when needed. Zendesk already offers an AI app that functions similarly: The value provided lies in streamlining other apps’ efficiency rather than standing alone. Salesforce is the reigning CRM solution: Its hefty suite of features includes ecommerce, marketing and customer service. A useful example of Salesforce’s dominance is the abundance of tutorials it provides, explaining how to use it. And, like Zendesk Sunshine, Salesforce’s open API is a selling point, making it even more likely that Zendesk’s new platform is coming for Salesforce’s turf. Sunshine offers a home to Zendesk’s already existing apps, as well as Sell and Explore. It also includes yet more new features: Profiles, which brings together all information about individual customers in a central location; Events, which tracks all customer activity, and Custom Objects, which collects and logs data from outside sources including car telemetrics and owned or rented equipment and products. So, are they like-for-like? Well, a key difference between the two comes down the cost. Zendesk Sunshine is free. Or rather, it’s not sold separately. Instead, it’s bundled with Zendesk’s Enterprise plan. It’s worth noting that there’s little crossover between users of Zendesk’s customer service or CRM apps and users of Salesforce, according to industry analysts. In the short term, Sunshine may not challenge Salesforce so much as it will help Zendesk to upsell the Enterprise tier to its current customers. So, with Zendesk Sunshine in the picture, how do the two Enterprise services stack up? The Enterprise Zendesk Suite bundles Support, Guide, Chat, and Talk along with AI, 24/7 support, and Zendesk Sunshine, costs $149/month/user, billed annually. That matches Salesforce’s price tag for its Sales or Service Cloud, which are $150/month/user each. It also neatly undercuts the Salesforce’s price for both the Sales and Service Cloud as a single package, which comes in at $175/month/user. Sunshine isn’t about the new features, so much as it is about connecting all of them in an intuitive way. Zendesk has been increasingly focused on information sharing between its numerous apps, and the Sunshine platform offers the infrastructure to do just that. The company’s ultimate goal is to become an essential, ubiquitous open-ended CRM platform for all. Zendesk is unquestionably a top-tier customer service solution. Now the AWS-powered Zendesk Sunshine is here to offer a wide-open CRM platform as well. Web users are being warned to watch out for a new type of phishing email scam doing the rounds, this time, impersonating an airline flights purchase confirmation email. We explain how the airline scam email works in practice, plus what can potentially happen if you fall for it.